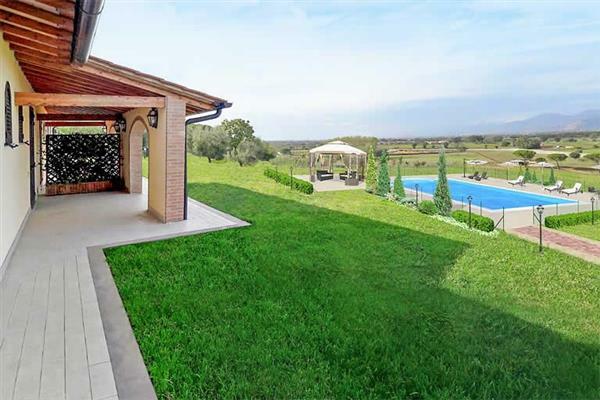 The holiday villa of "Villa Deni" can be found in Peccioli - Tuscany. This villa sleeps 10 people, and has 5 bedrooms. The villa has the following bedrooms: Bedroom with ensuite: - King size bed, A/C unit, Satellite TV, Flat screen TV, Shower, WC, Single washbasin, Bidet; Bedroom with ensuite: - King size bed, A/C unit, Satellite TV, Flat screen TV, Shower, WC, Single washbasin, Bidet; Bedroom with ensuite: - King size bed, A/C unit, Satellite TV, Flat screen TV, Patio doors, Shower, WC, Single washbasin, Bidet; Bedroom with ensuite: - King size bed, A/C unit, Satellite TV, Flat screen TV, Patio doors, Shower, WC, Single washbasin, Bidet; Bedroom with ensuite: - King size bed, A/C unit, Satellite TV, Flat screen TV, Shower, WC, Single washbasin, Bidet. Villa Deni has 5 bathrooms - so there shouldn't be a queue for the bathroom. 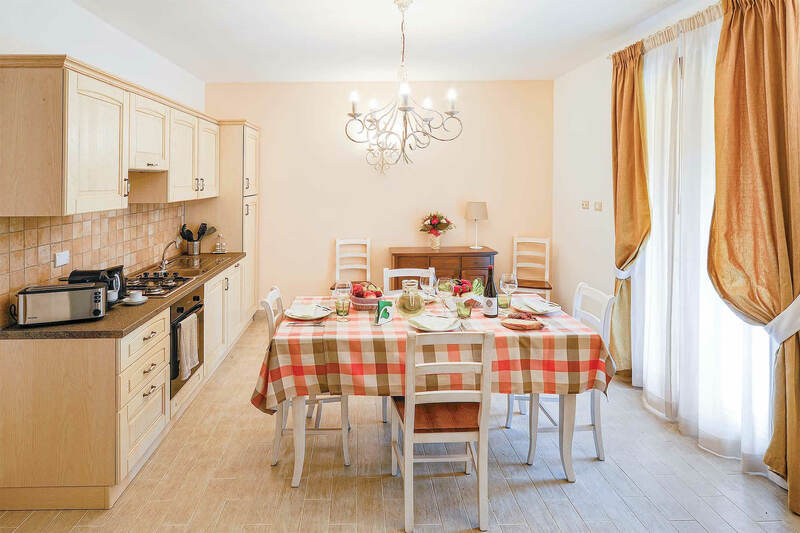 Villa Deni is a good size for friends and family to enjoy. When you want to go out for a drink in the evening, the nearest bar is 3 kilometres, the restaurant is 100 metres and the shop is 3¼ kilometres from Villa Deni. If you're looking for other villas around Villa Deni, we've got some villas below which may take your liking. There are 17 villas within 15 miles of Villa Deni - and most have reviews too.